Happy Tuesday!! Today we’re continuing our series on overcoming fear. Has this series helped you in any way? I pray that it’s been an encouragement to you and that it has given you the courage that you need to overcome! As I sat and thought about what to write about today all I could think about was the love of God. I thought about how God loved me so much that He gave His only begotten Son in exchange for me. I thought about how He loved me so much that not only did He save me but He delivered me and filled me with His Spirit. I thought about how He proves to me daily just how much He loves me by showing up at just right time or giving me the grace I need to make it through the day. I thought about how He leads me and guides me. I thought about how hears me and sees me. And even when I feel alone how He’s right there with me. I thought about how He tells me not to fear when I’m afraid or not to worry when I’m feeling anxious. I thought about how He holds me hand. I thought about His embrace and how complete I feel when I’m in His presence. I thought about how bold I become when I remember that He’s with me. I thought about how fearless I am when I just remind myself that He loves me. The more I thought about His love and how perfect it is, the more I gained the courage to overcome fear! I can imagine that it was the love of God that was at the forefront of Jesus’ mind when He had to fearlessly endure the cross. I can imagine that it was the love of God that was at the forefront of Esther’s mind when she courageously decided to go to the King on behalf her people. I can imagine that it was the love of God that was at the forefront of Daniel’s mind when He fearlessly overcame the lion’s den. I just believe that all of the heroic people that we read about in the Bible had one thing in common: they knew how much God loved them and because He loved them they knew that they didnt have a reason to fear. There’s just something about knowing how much God loves you and how He’s always with you that causes you to be a little more fearless and courageous than before. Because He loves me I have no reason to be afraid. Because He loves me, even if I fail He’s going to work it together for my good. Because He loves me, He wants the best for me, and because He wants the best for me He’s going to make sure I succeed. Because He loves me, I don’t have to be afraid to start that business. Because He loves me I don’t have to be afraid to try again. Because He loves me I can begin again. Because He loves me I can dream again. Because He loves me I can do what I’ve never done, and I can go where I’ve never been. Because He loves me I CAN overcome fear! When was the last time that you actually sat down and really thought about how much God loves you? I mean really thought about it? Today I challenge you to take a moment and reflect on the love of God! Because the God of the entire universe loves you with an everlasting love you have no reason to fear. You have no reason to worry. The same God who was with Esther is the same God who shall be with you. The same God who was with Daniel is the same God who shall be with you. The same God who was with Peter is the same God who shall be with you. His love makes you fearless! 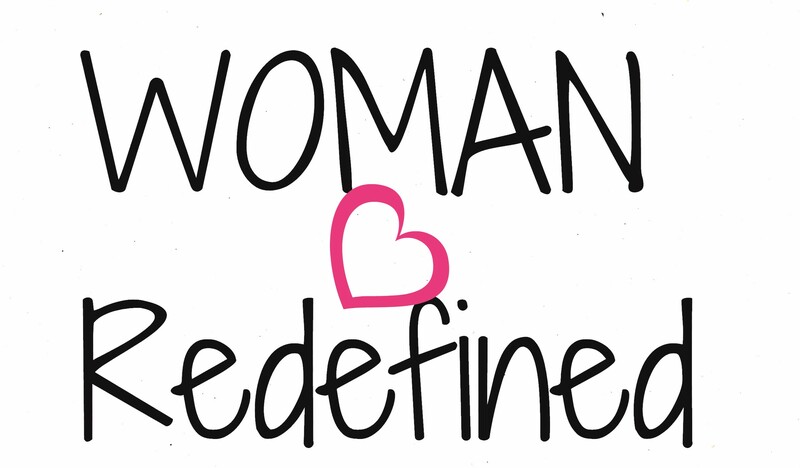 If you want to continue the conversation on fear be sure to click on the link below to follow Woman:Redefined on Facebook. I will be doing something called “Let the conversation continue” where I will be going live on Facebook two times a week to elaborate more on my blog posts each week and to answer all of your questions. I absolutely love this and the reminder that you have given! God is unchanging and with Him, anything is possible.